Quilts of the Plains 2014 – Another Year of BEAUTIFUL Quilts! Hello everyone. It’s been a busy summer here in Wray, Colorado. 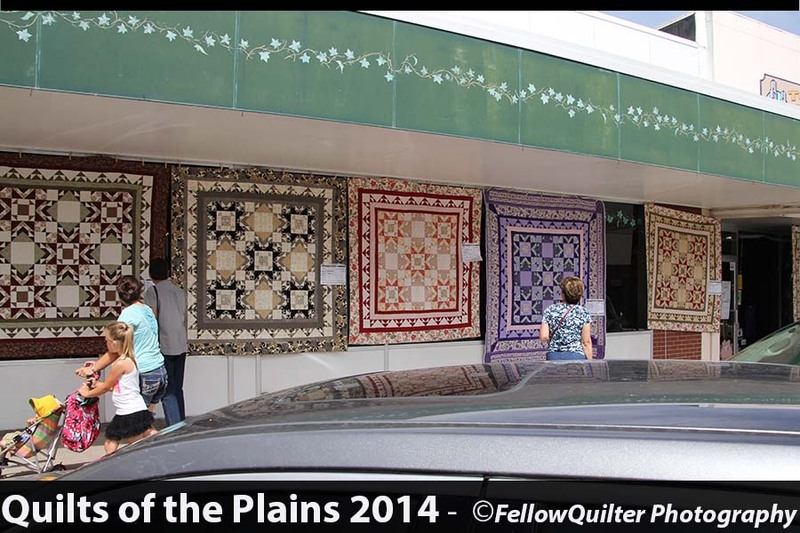 We did host the annual Quilts of the Plains show on Main Street on June 21, 2014. Once again, the antique quilts and the smaller items were showcased at our gorgeous Wray Museum. Thanks to all the sponsors, volunteers, and especially the quilters! The winning quilt was by Hazel Chapman and her Grand-daughter. It was a beautiful appliqued quilt. I won’t say a lot, but just invite you to peruse the show, by way of the photos I captured that day. I really appreciate if you could leave a comment about the show – perhaps your favorite quilt, or something relevant to the show. I hope you are enjoying this blog. Lovely and oh to talented quilters. Wish I could have seen in person. Always a treat. Thank you Chris. I was hoping to see your log cabin quilt… but I guess I can see it next week at the fair. Thank you once again for a walk down my hometown Main Street when I am so very far away. It is hard to say which quilt is a favorite because they each shine in their own space and time. However, the quilts I hesitated for a longer look are #89(because I want to use a white background in a quilt one day), #76(I have plaids that needs to be used for Project Linus), #33(Black and cream fabrics are also waiting in my stash), and #13(the southwestern theme is striking with purple and animals). Good luck at the fair. I look forward to your continued blogging.